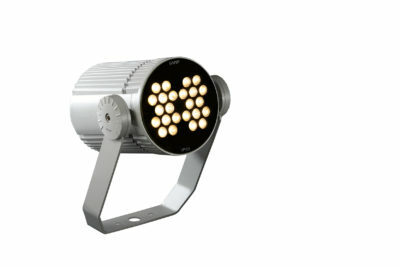 LED Outdoor projector from the TROLL family Beam setting an advanced and innovative thermal balance system through passive dissipation with stable colour temperature of 4000º K (neutral white) optimised to be used as lighting of gardens, façades or fountains and all outdoor applications requiring light projection. 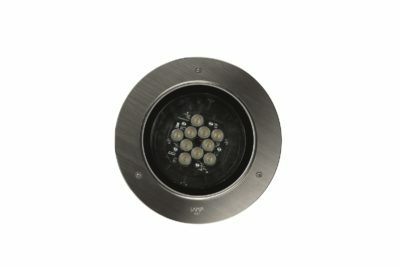 Designed for floor wall or ceiling surface mounted. 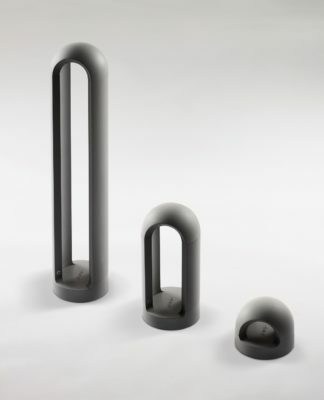 Luminaire body built in die-cast aluminium finished in anthracite. Luminaire is IP65 and IK08. 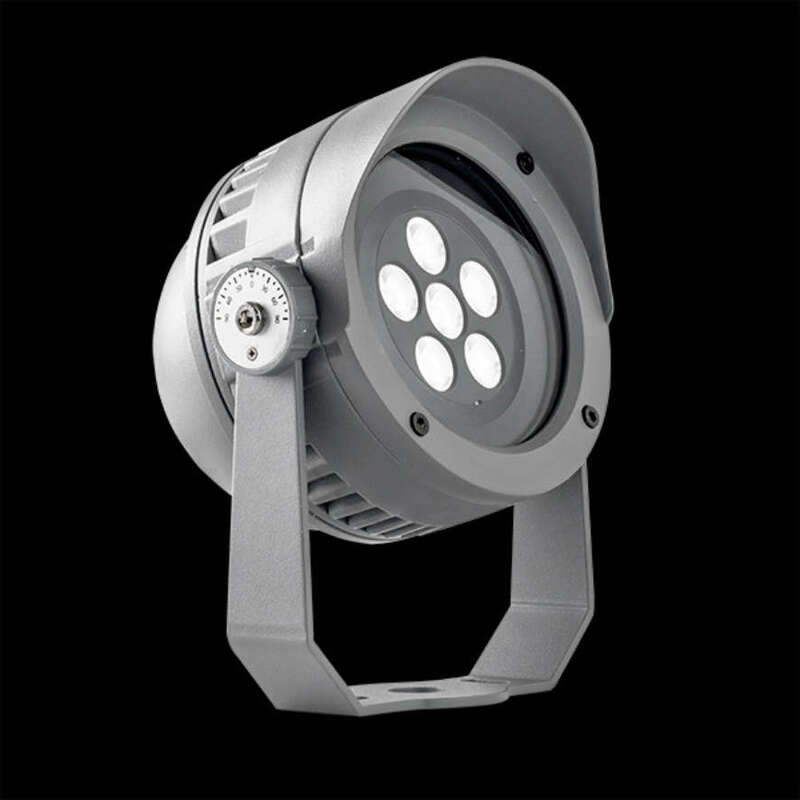 Luminaire built-in an independent lens system for each led with an angle beam of 20º. 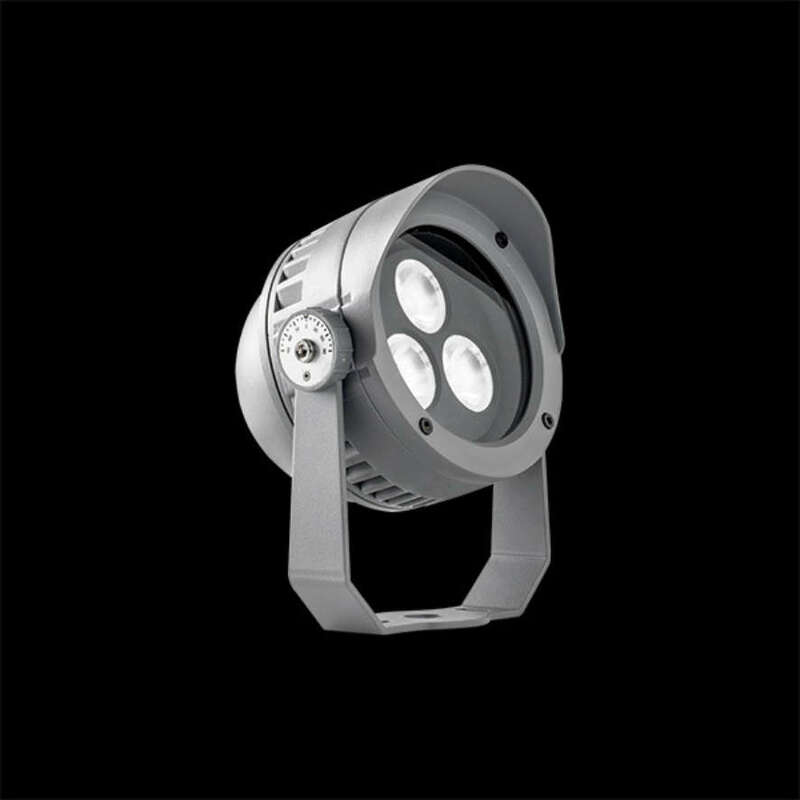 Luminaire sets a 12 W LED source with CRI higher than 80 % and a chromatic dispersion lower than 3 SMCD. 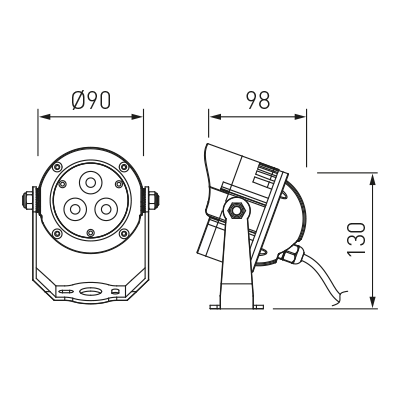 Luminaire sets a ball joint system which allows tilting 90º. 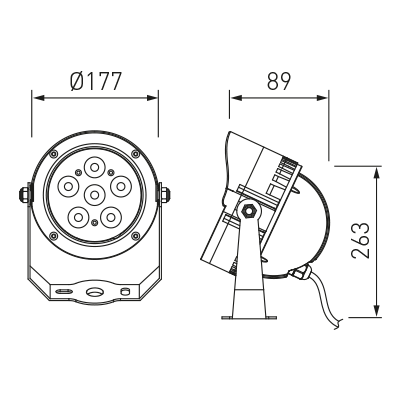 Fixture has a luminous flux of 882 Lm, with an efficiency of 65,3 Lm/W and a total consumption of 13,5 W. The average life for the luminaire is 50000 h (stabilised at a minimum flux of 70 % from the original). 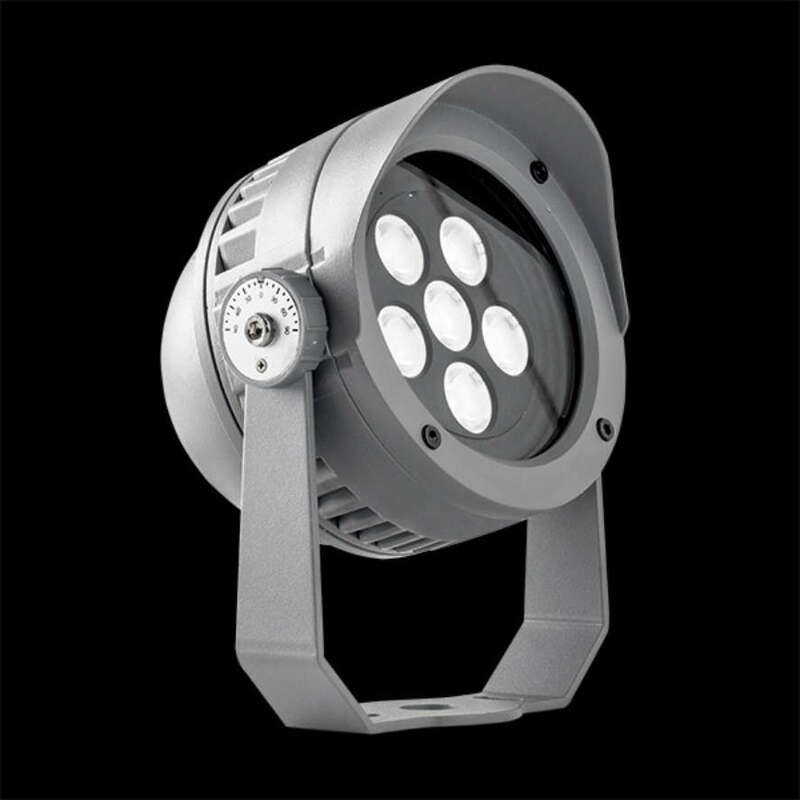 Luminaire built-in an auxiliary gear ON/OF fed at 220-240V; 50/60 Hz.